Abba Kabir-Yusuf, governorship candidate of the Peoples Democratic Party (PDP) in Kano State has rejected the result of the election. Governor Umar Ganduje of the All Progressives Congress (APC) won the keenly contested poll with a total difference of 8,892 votes. In the supplementary election which was held in 28 LGAs on March 23, PDP polled a total of 10,239 votes against 45,876 votes APC got. Before the elections were declared inconclusive, PDP was leading with 1,014,474 votes, while APC had secured 987,819 votes. However, after the March 23 governorship election, the total figures for APC stood at 1,033,695 votes against 1,024,713 votes secured by PDP. In his official reaction released Tuesday night and signed by his spokesman, Sanusi Bature Dawakin-Tofa, Kabir Yusuf, said he and the party would challenge the outcome. The statement reads: “In the political history of Kano, we have undergone the most horrific elections ever where the ruling APC and Kano State Government deployed all mechanisms to orchestrate violence against the citizens. Indeed, the good people of Kano state have witnessed a broad daylight robbery of their mandate by the enemies of democracy. 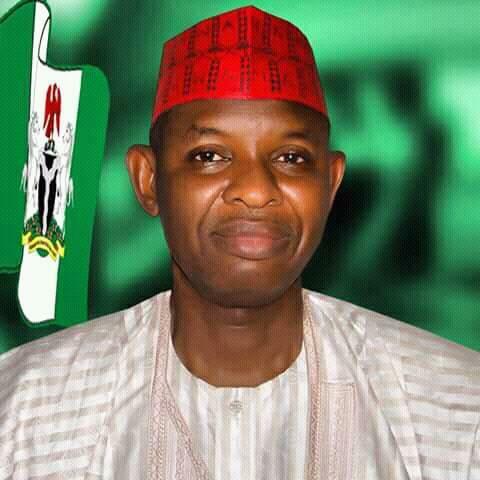 “It is with tremendous zeal and courage that we joined the 2019 Kano gubernatorial contest, believing in the impartiality of the umpire – the Independent National Electoral Commission (INEC) and the security agencies, being on a mission to restore the lost glory of our dear state from the hand of political predators who destroy every meaningful programme and policies set by the previous administration of Dr. Rabi’u Musa Kwankwaso. “We have written to INEC at the beginning of the exercise calling for the cancellation of the ongoing rerun election, but the electoral body decided to shelve our request and continue to the process in a rascal way. It was reliably gathered that most INEC representatives were compromised by the Kano State Government. “The PDP in Kano is proud to be distinctly civil and uniquely peace-loving. We condemn this fraud in its entirety. We have decided to take legal action through the Election Petition Tribunal with overwhelming evidences that have been gathered, and Insha Allah soonest the mandate of the good people of Kano state shall be reclaimed.